– M’s April Pick-Ups | Professional Use Only, No Warranty. 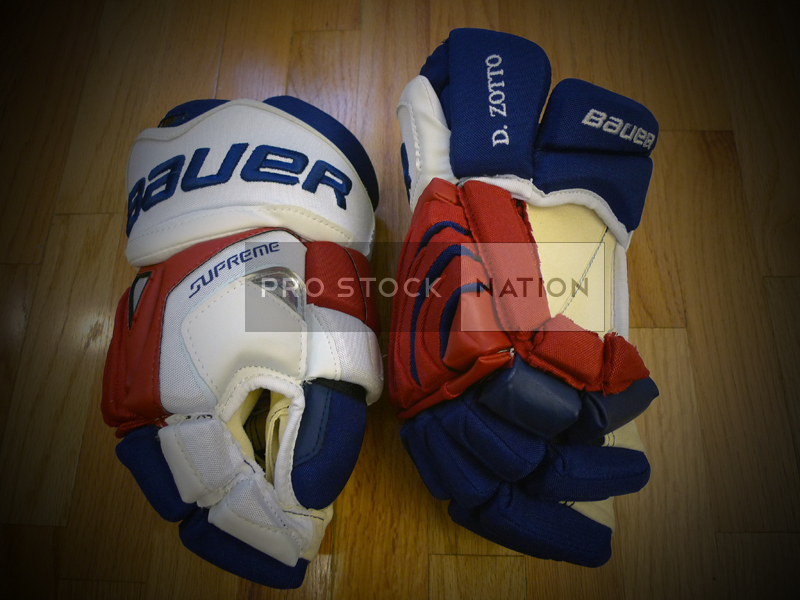 This entry was posted on May 3, 2012 at 6:25 am and is filed under Pro Returns with tags Atlanta Thrashers, Bauer, Bauer Supreme ONE95, Edge Socks, Elite Hockey Laces, Hockey Gloves, Hockey Monkey, Hockey Tron, Jake's Custom Sports, Kevlar Sock, LA Kings, Michael Del Zotto, New York Rangers, NYR, Pro Return, Pro Stock, RBK, Reebok, S10, Tackla 5000 Pro, Tron, Vancouver Canucks, Visor, Vitalsox. You can follow any responses to this entry through the RSS 2.0 feed. You can leave a response, or trackback from your own site. Agree that the NYR colorway is great. I just ordered these without asking (foolishly) what model they are. Think they are One95’s? Yes you are correct, they are Supreme ONE95s. You got them for a good price too! The HockeyTron Visor is great. I can’t belive it costs only soo much..I have used it in few games and had some beating but no scratches so far.. Also the Tron Stick Jarvis Curve is one of the best I had.. Thanks for your comments Michael. Which model do you own? 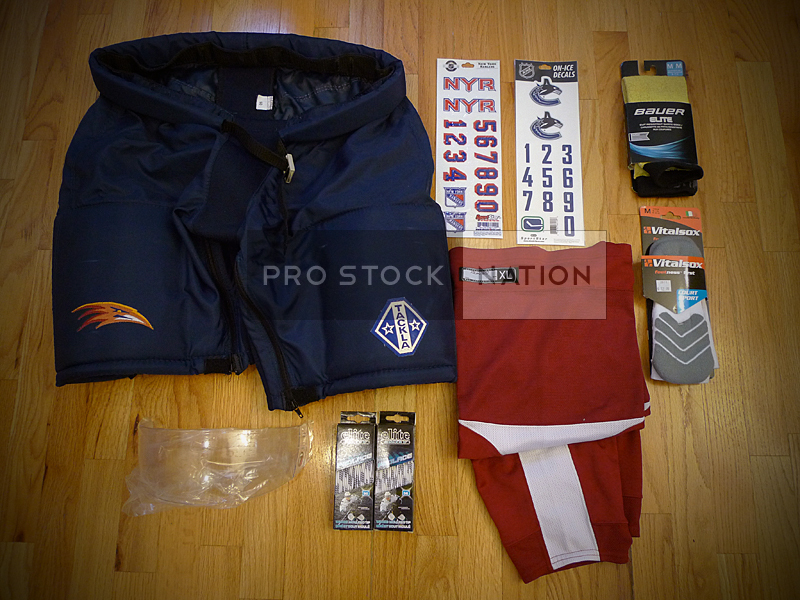 I have the SportsStar Vancouver Canucks decal kit also and mine came with the NHL shield decal. The NHL shield at the top is a sticker. I find the SportStar ones being sold in retail are not what the players wear. The border around the NHL Shield on the Canucks Decal sheet is black whereas it should be clear. The Canucks on-ice decals also shouldn’t have the two tabs on them. Would like to hear how you like the Kevlar socks. Tuff-n-Lite Hockey has a cut resistant skate sock that is the highest cut level on the market and very comfortable. I will be posting a review on them shortly. They are not my preferred sock as I have been getting cuts along my ankle line wearing these. 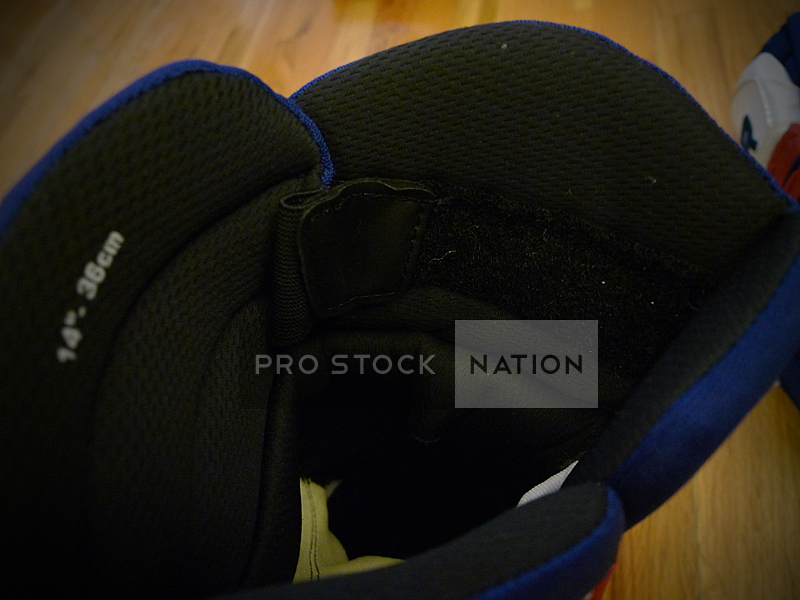 I would much rather have the kevlar built into the hockey sock rather than the skate sock.